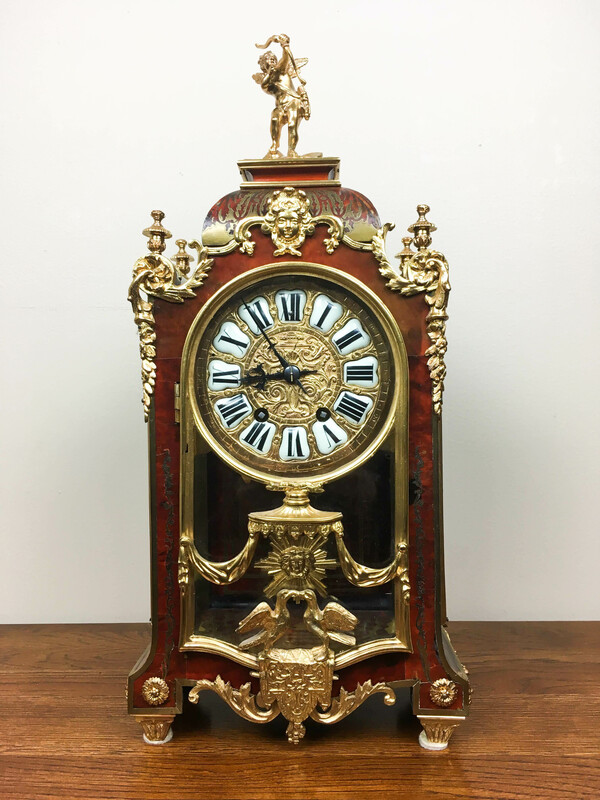 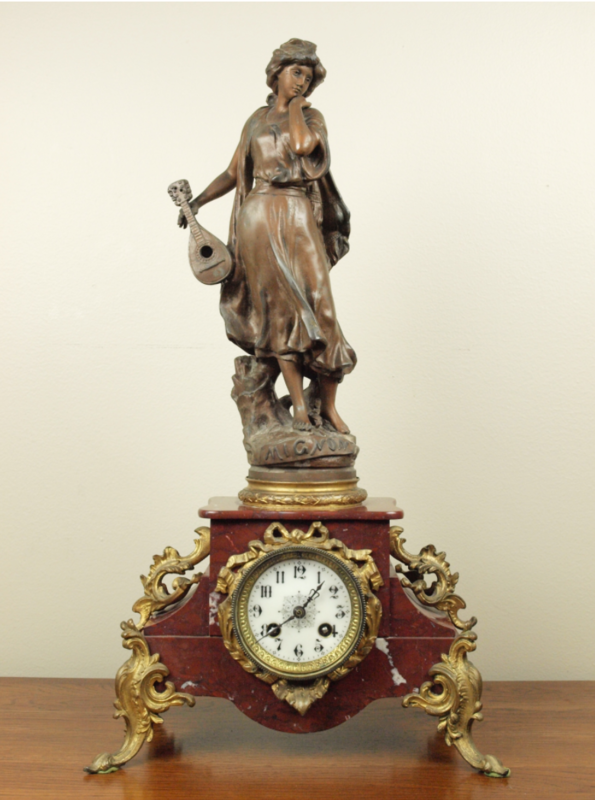 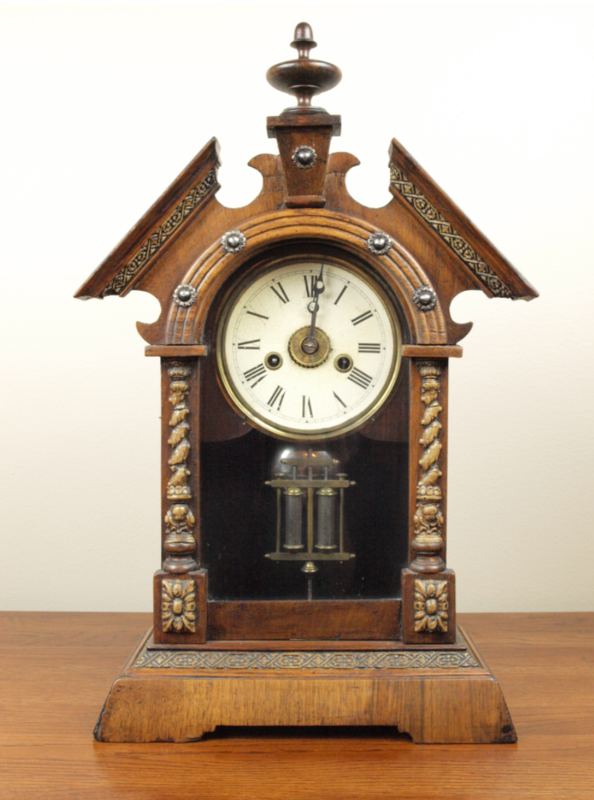 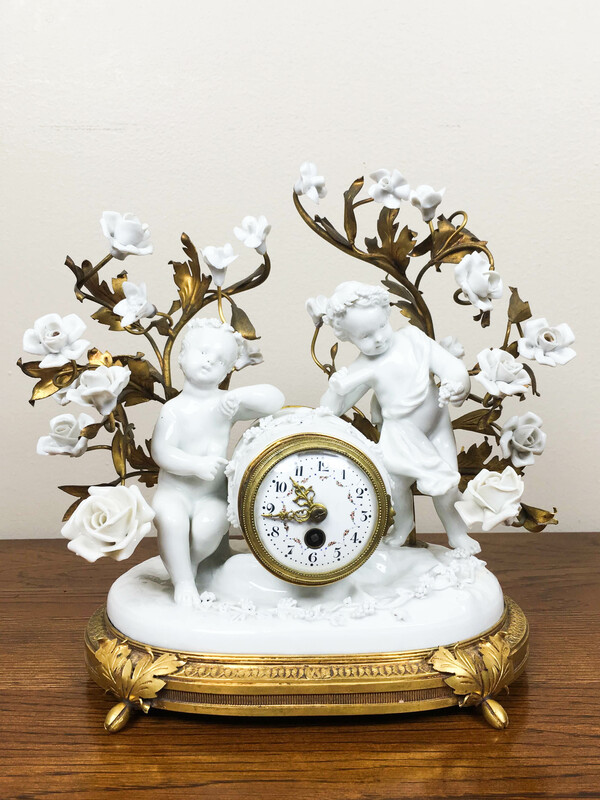 Antique Ansonia Racine statue clock in excellent condition. 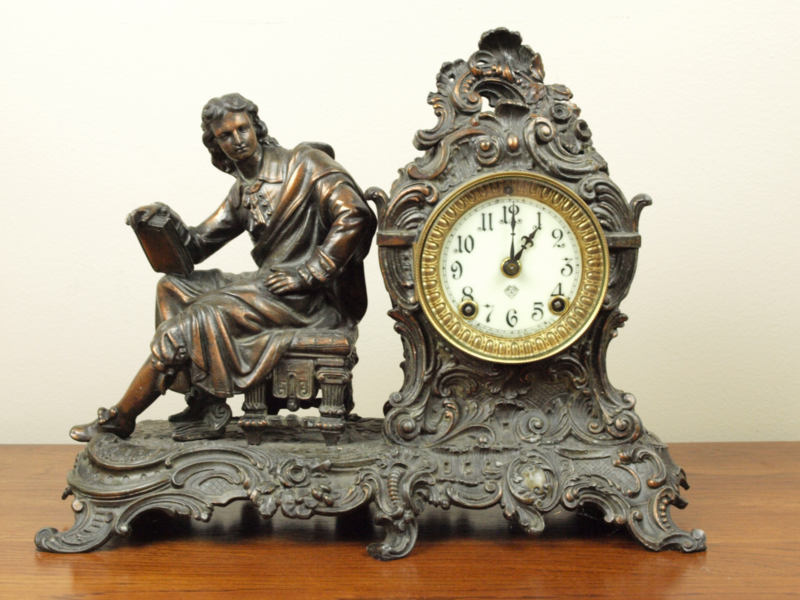 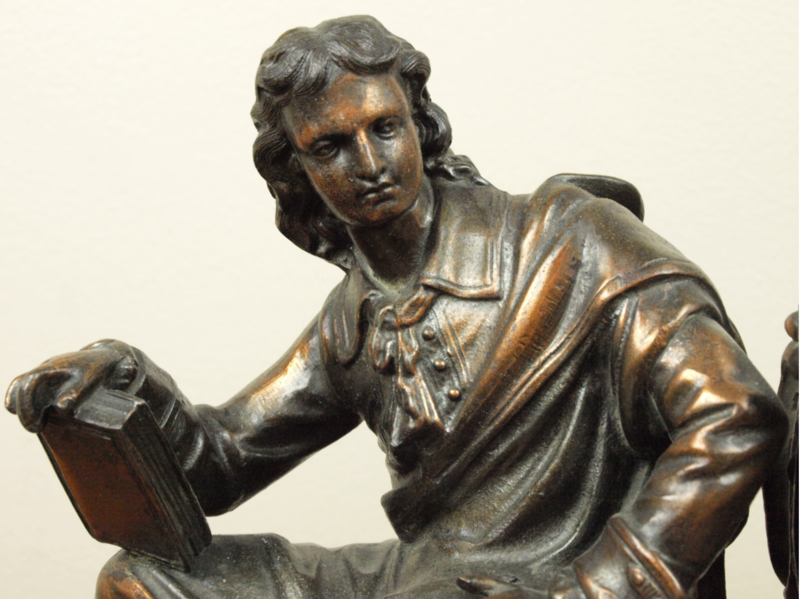 This is a Japanese bronze finished statue of a man sitting in a chair next to the Arabic numeral dial marked Ansonia. 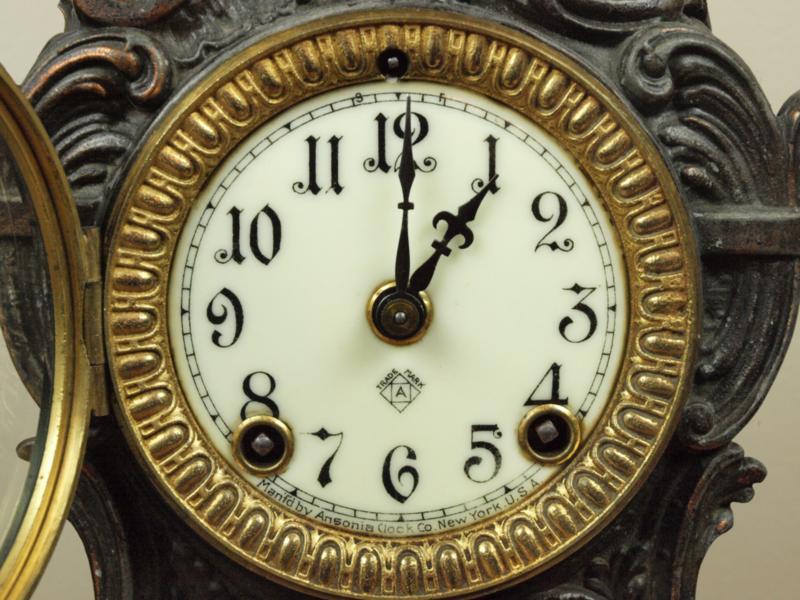 This clock has an eight day time and strike movement on a spiral gong.